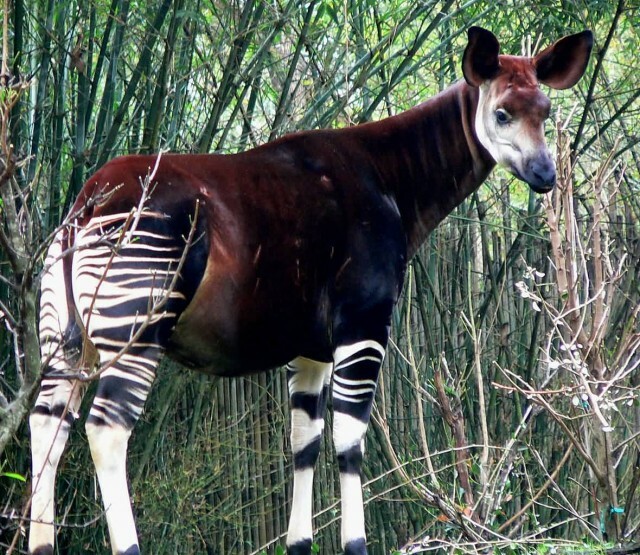 The okapi is a giraffid artiodactyl mammal native to the Ituri Rainforest. It is located in Central Africa. It is most closely related to the giraffe. The okapi and the giraffe are the only living members of the family Giraffidae. 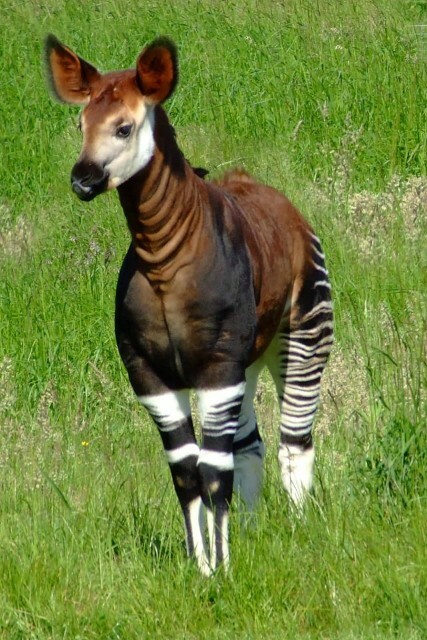 Okapis have reddish dark backs, with striking horizontal white stripes on the front and back legs, making them resemble zebras from a distance. The body shape is similar to that of the giraffe except neck. Okapis have much shorter neck. 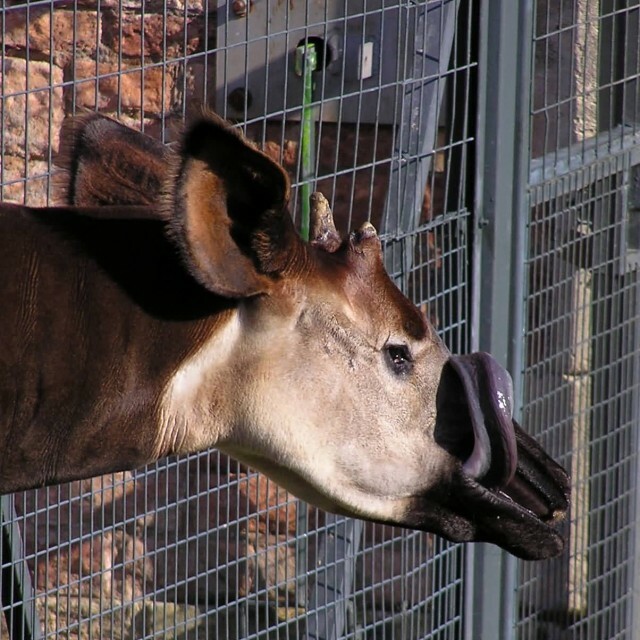 Okapi have very long flexible tongues used to strip leaves and buds from trees. Okapis are feeding on tree leaves and buds, grasses, ferns, fruits and fungi. Many of the plant species on which okapis feed are poisonous to humans.